Happy New Year and welcome to our 2017 Weekly Virtual Book Club for Kids! If you aren't already in our book club Facebook group, come join in! We share creative ideas along with book suggestions that go with our theme each week. This week is all about bears! Our featured book for this week is Time to Sleep by Denise Fleming. It is a darling book about animals of the forest settling down for their winter nap. With the chilly wet weather we've been having in California lately I am ready to hibernate as well! 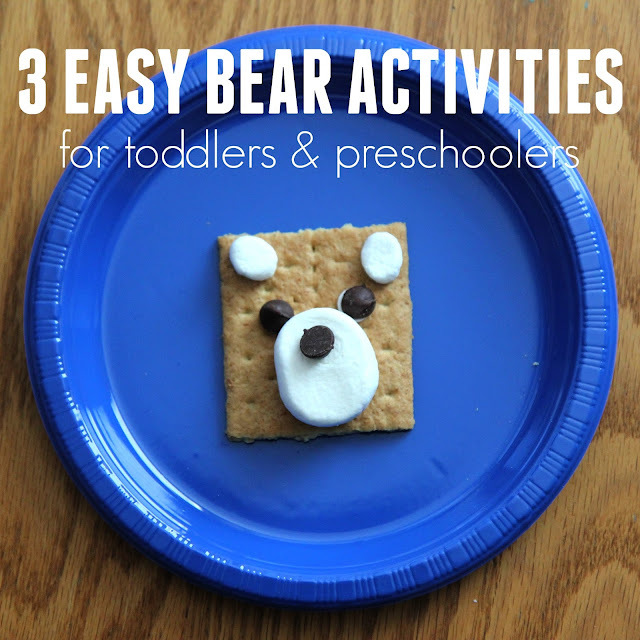 Today we have three easy bear themed activities to share with you!